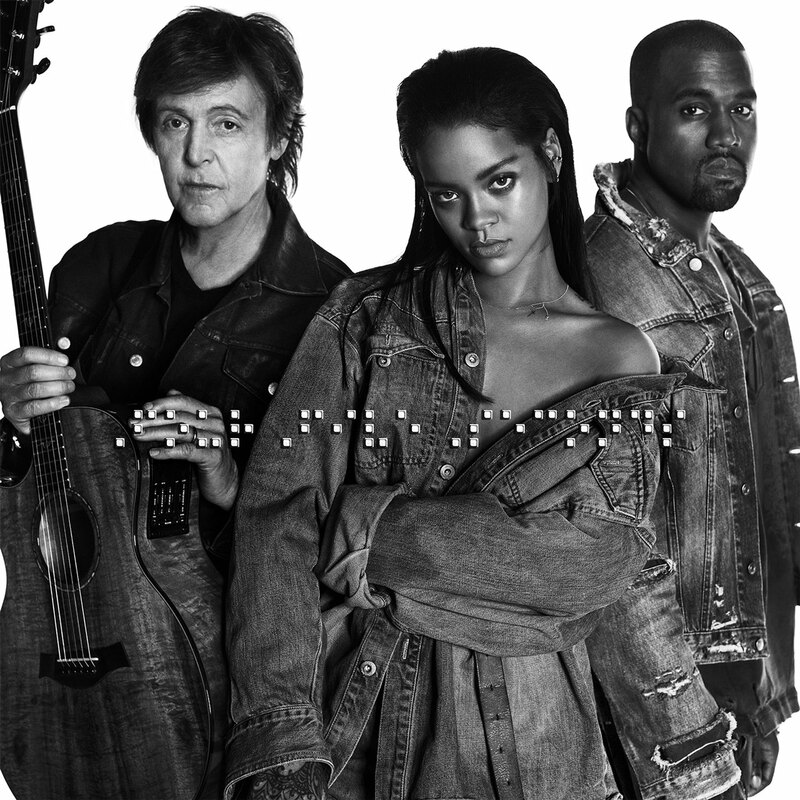 It's been confirmed that Rihanna, Kanye West and Paul McCartney will all perform together at the Grammy Awards this weekend. The Grammy Awards confirmed the news on their official website, adding that Kanye West will also perform a "never-before seen solo performance." "In addition to this trio performance, current nominee West is also set to deliver a never-before seen solo performance on Music's Biggest Night," the statement read. The Grammys take place this Sunday 8th February at the Staples Center in Los Angeles. Rihanna and Kanye West are reportedly set to perform at the 2015 Grammy Awards alongside their 'Four Five Seconds' collaborator Paul McCartney. "Rihanna's seriously pleased to have bagged a big slot at The Grammys and two huge names to kick off her comeback" a source told The Sun. "Paul McCartney's a Grammys regular and it will give Rihanna serious kudos to have a Beatle backing her on stage." The singer is rumoured to release her comeback album in the first quarter of 2015, so a Grammys performance (although not confirmed) would be a great way to kickstart her promo. Acts confirmed to perform at the ceremony so far include Pharrell, Usher, Ariana Grande and Ed Sheeran amongst others.